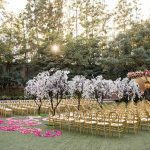 Or maybe you’re interested in your ceremony inside Disneyland but the cost is prohibitive? 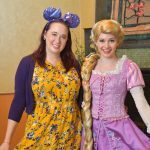 The perfect answer may be a hotel wedding ceremony and reception, then move the party INSIDE Disneyland for an epic after party! That’s exactly what my friends George and Michelle did for their vow renewal earlier this month. 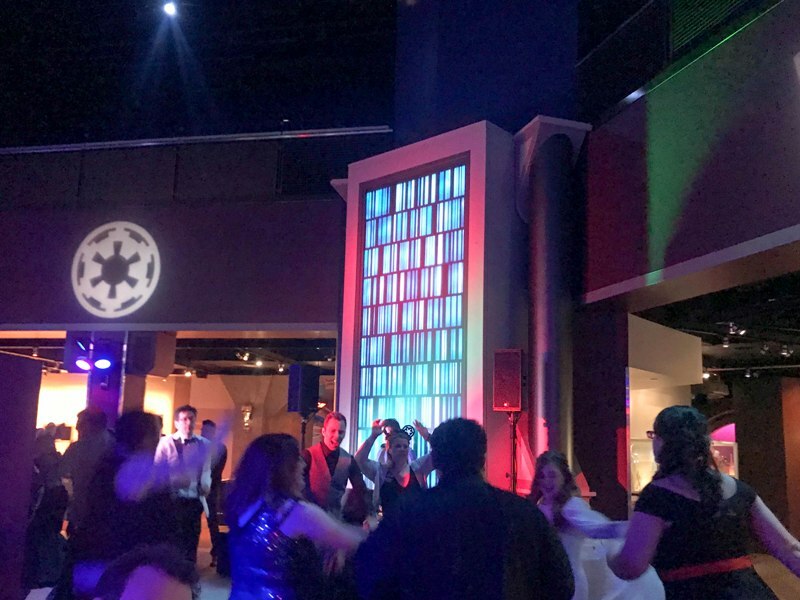 The vow renewal was Star Wars themed, so Launch Bay at Tomorrowland made the perfect location for the after party. I didn’t even know this location was an option for private events! 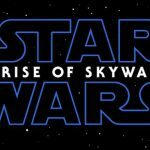 Launch Bay is located in Tomorrowland, on the first floor of the old Innoventions/America Sings/Carousel of Progress building. 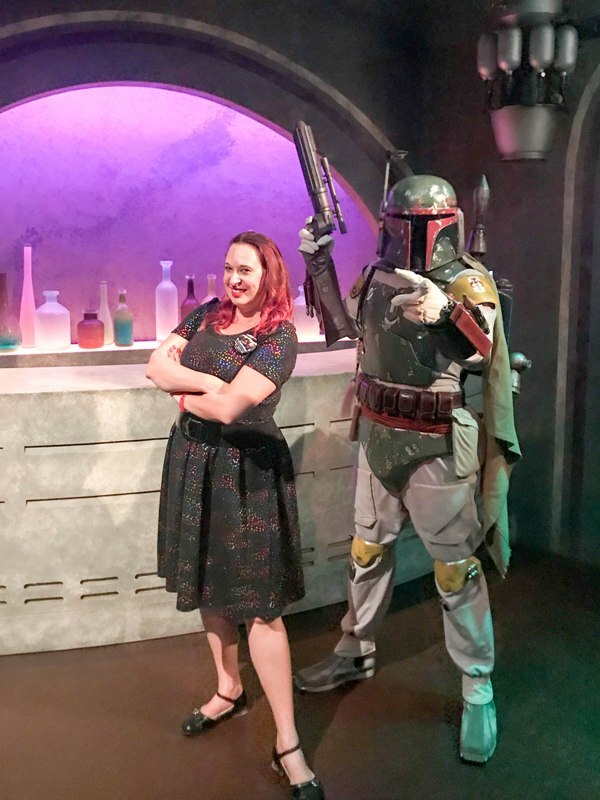 Launch Bay hosts Star Wars exhibits, character meet and greets, and memorabilia displays. 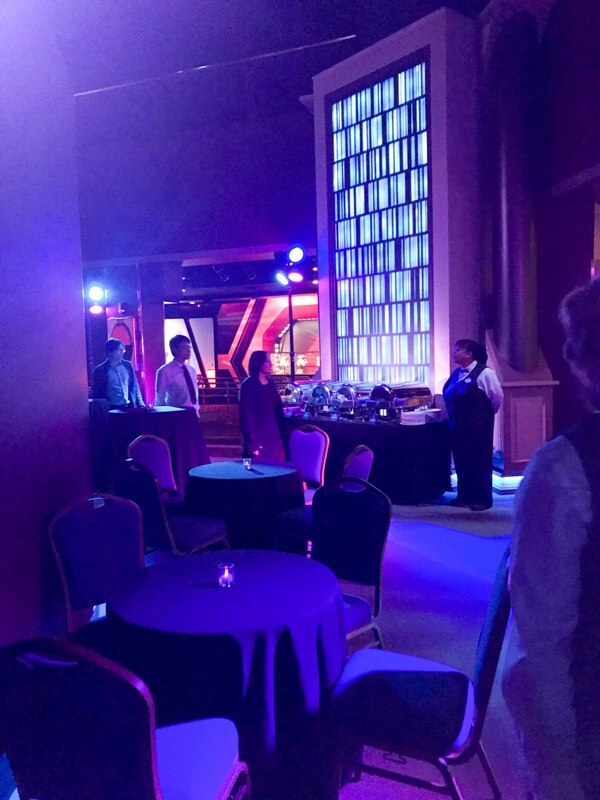 With an in-park private event, guests are escorted from a meeting location (generally at one of the Disneyland hotels) and led through Downtown Disney and into Disneyland by Cast Members. 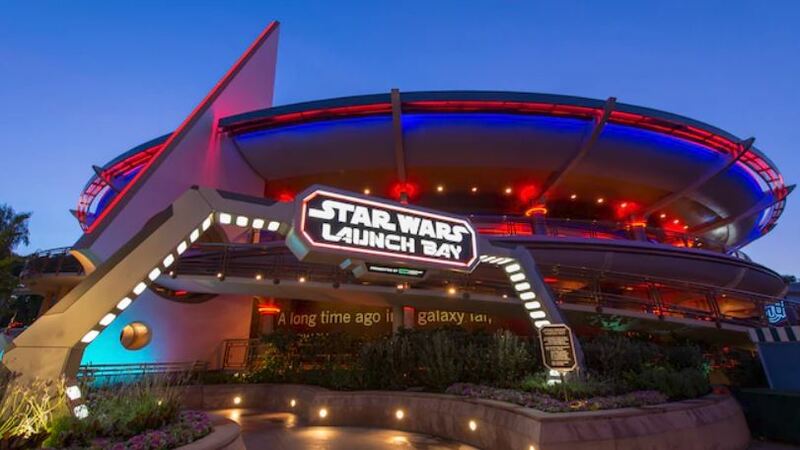 Even though Disneyland was still open to guests, Launch Bay had closed early to set up for the event. 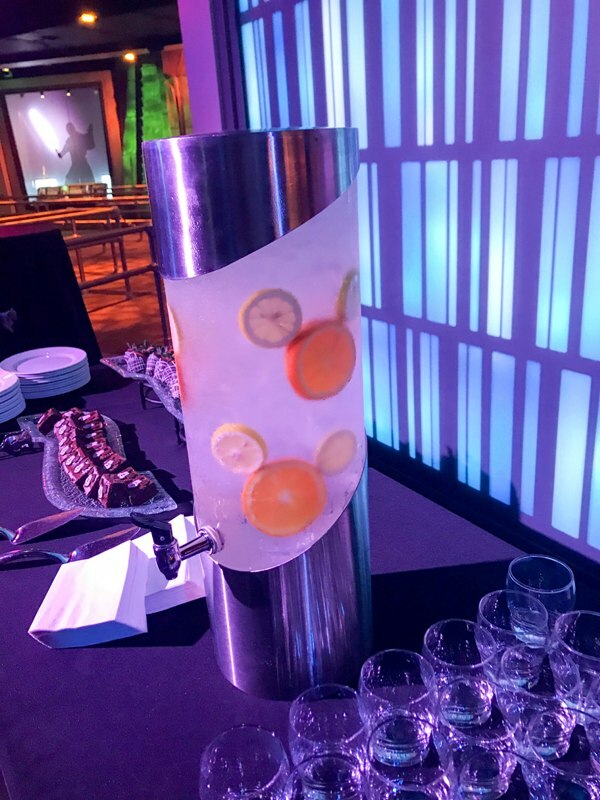 When we arrived a DJ was already spinning tunes, colorful lights were flashing, food was set up, and the bar was open. 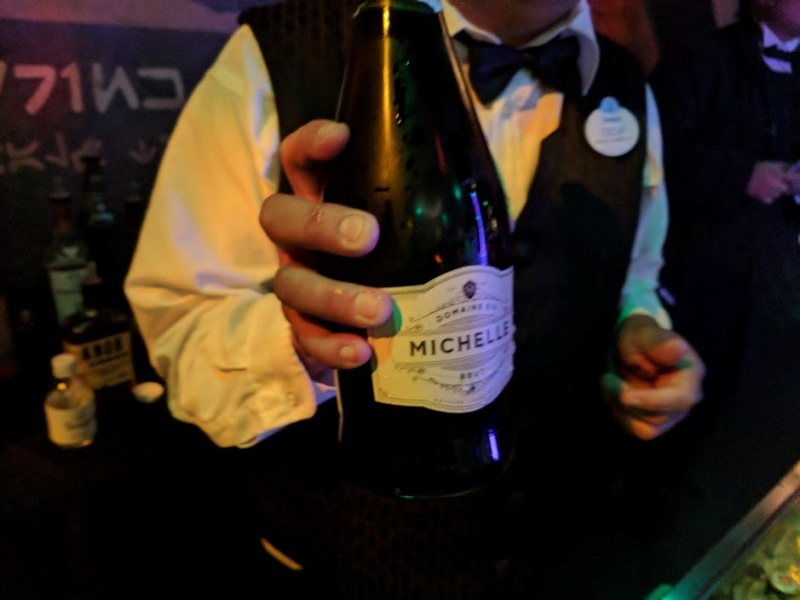 Having an alcoholic drink inside Disneyland is certainly a novelty, so that’s where most of the guests went first. 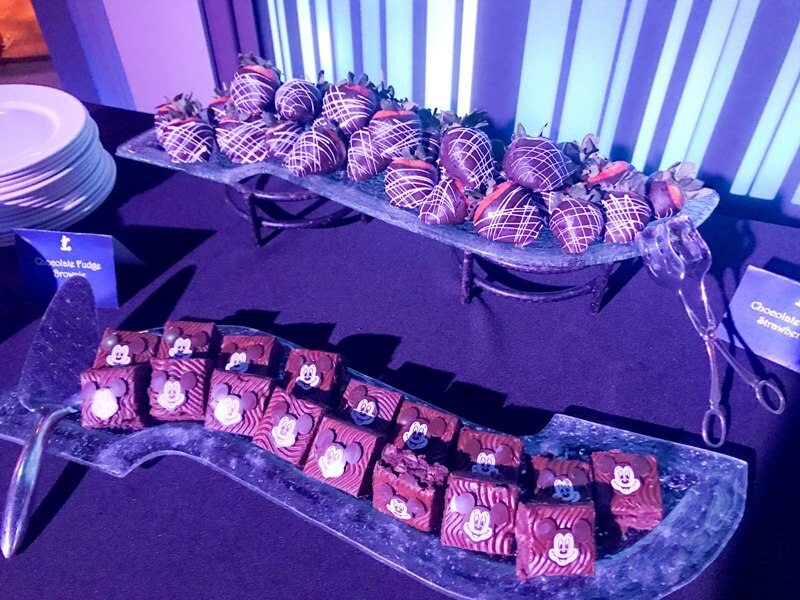 The after party food included Mickey pretzels, mini pizzas, brownies, and chocolate covered strawberries. 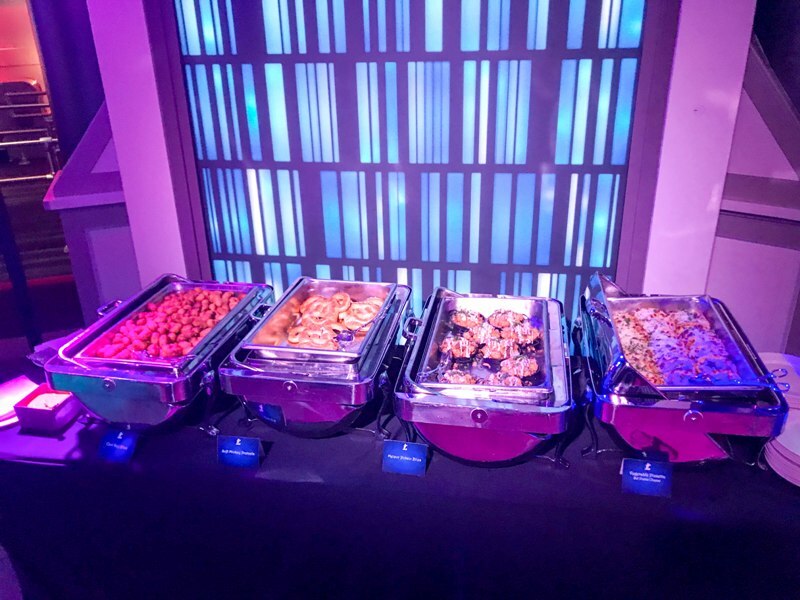 After party food doesn’t have to be fancy, especially when guests just stuffed themselves at your reception! 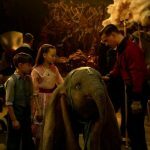 We had plenty of surprises during the night. 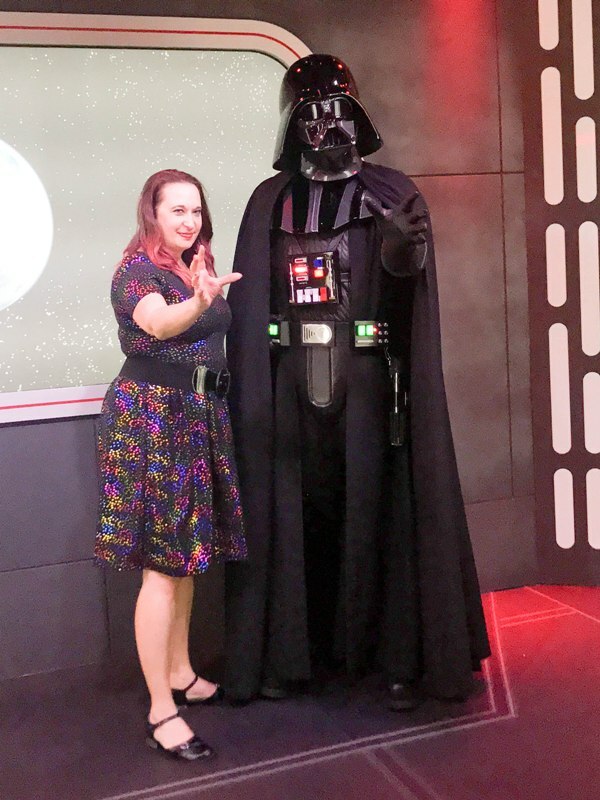 Storm Troopers wandered around and interacted with guests, and we also had private meet and greets with Darth Vader and Boba Fett. 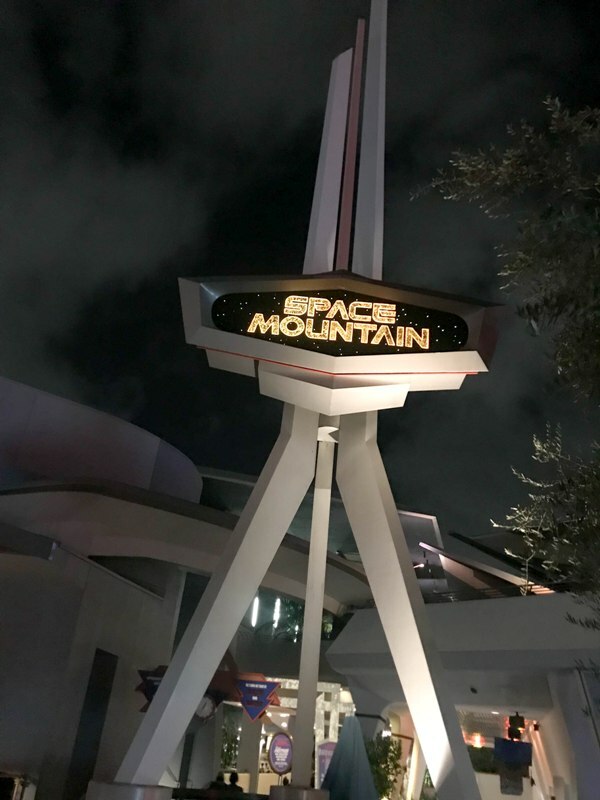 Later, after the park closed for guests, we were treated to private rides on Star Tours and Space Mountain. 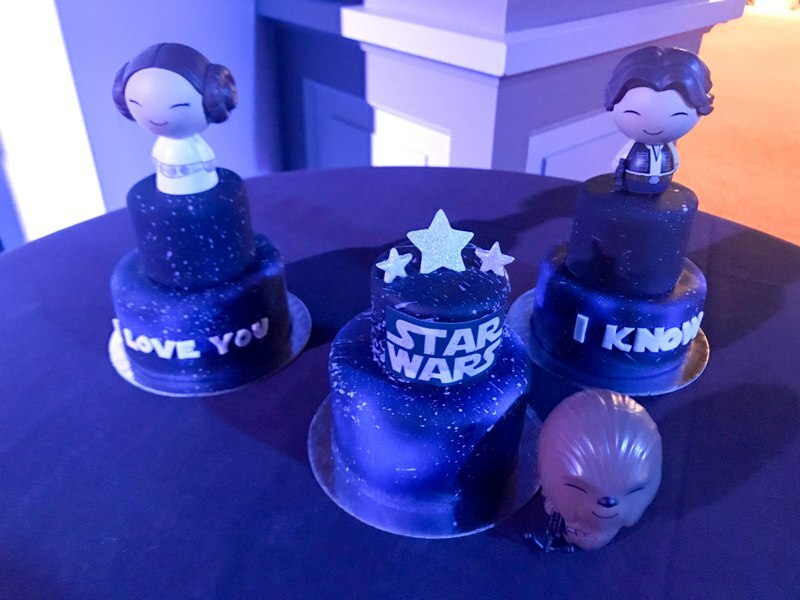 After dancing the night away until 2am, the guests were treated to a really fun take-home favor – our own Star Wars mini cake! Then we were all escorted through a very quiet Disneyland and back to reality. 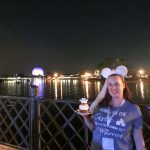 It was such a fun night getting to experience a private in-park event, and I want to thank Michelle and George for inviting me! 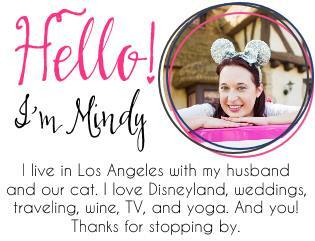 If you have any questions about booking a private wedding event at Launch Bay or any other Disneyland or Disney California Adventure location, please contact Disney’s Fairy Tale Weddings. THIS was once in a lifetime awesomeness and one of the best parties I’ve been to. Congrats George and Michelle!